Pearls provide their wearer with a sense of opulence, style, and sophistication. Pearl jewelry, including bracelets, earrings, rings, and necklaces complement a variety of outfits and can help spruce up someone’s wardrobe. If you are looking for pearls, you will likely notice that there is a large variety of pearls available. You may wonder which type of pearl is the right one for you. There are some large differences between natural and cultured pearls. By explaining the difference, it may make it easier for you to decide which is right for you when purchasing pearl jewelry. The largest difference between cultured and natural pearls is how they are made. A natural pearl is produced without human assistance, these are quite rare and pearl divers are constantly hunting for them. Once found, the pearl diver will harvest them, clean them, and make them into jewelry. Meanwhile, pearl farmers are growing cultured pearls under tightly controlled conditions. These farmers will place a core into a mussel or an oyster. The mussel or an oyster is going to form a pearl around that newly introduced irritant. This is the same way natural pearls are made, with the exception that the process is sped up and multiplied. Pearl farmers will design cultured pearls, making sure that these pearls are luminous and perfectly shaped. After they harvest these pearls, they will be treated, bleached, and made into jewelry. It is possible to have freshwater or saltwater pearls with both cultured and natural pearls. Saltwater pearls are created or occur in oysters while freshwater pearls are created or occur in mussels. 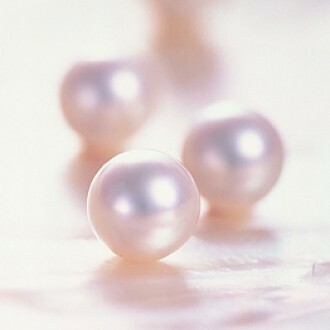 Natural pearls are going to vary widely in luminosity and size. These pearls have a stunning iridescent quality. You will also see a great range of all types of shapes and sizes because these are grown in the wild. Many of the cultured pearls are going to have similar qualities. The shape and size is mostly uniform. It is possible to bleach or dye these to achieve different luster and color. Natural pearls are typically quite expensive, this makes sense if you consider that these are difficult to find and quite rare. It is even more uncommon to find perfect strands of natural pearls. While cultured pearls are by no means cheap (depending on the size, shape, and luster), they are available in more economically affordable price ranges. You want to shop for your pearl jewelry carefully, because all varieties of both cultured and natural pearls are a valuable jewelry investment. Remember that imitation pearls and cultured pearls are NOT the same thing. You should not confuse the two. Cultured pearls have the same material as a natural pearl; it still takes time to complete the organic growth. Imitation pearls are often made of glass or plastic and can be made quite easily and quickly. When shopping for pearl jewelry, make sure that you keep the difference in mind.